LED lighting that became a part of our daily lives with development of technology offers more energy efficient lighting. inohom works completely compliant with brightness adjustable LED lighting products and enables you to adjust lighting to just the amount you need. 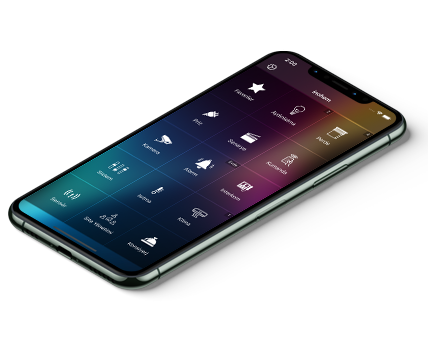 Additionally, with lighting management that can work based on ambient brightness, time, and scenario, this system helps you to minimise energy consumption and save on energy use. Although motorized curtain and blind systems provide comfort, these systems are challenging as they are controlled with traditional wall-mounted control switches. In the morning, you need to walk to all rooms to open all blinds, and similarly at night, you need to close all the blinds again. With inohom smart curtain and blind management systems, your curtains and blinds will be opened in the morning to help you benefit from daylight, and automatically close at night to offer safety and energy savings. IP communication infrastructure of security cameras enable you to access internal and external home security cameras even when you are far away. With these IP cameras, constant recording is possible, and you can get e-mail notification if a motion is detected. You will be sure about the safety of your loved ones and you home with inohom security infrastructure. You need to allocate time to irrigate your plants and grass. Also, you try to find someone to irrigate those plants when you on vacation or business trip. inohom has special sensors that measure humidity of the ground and waters your plants when needed. This way, water consumption is minimised by preventing unnecessary watering and drying is prevented. With superb control skills, you will save on time and energy. Think of a scenario where you will go on a holiday for one week and you activated “HOLIDAY” scenario before you left the house. 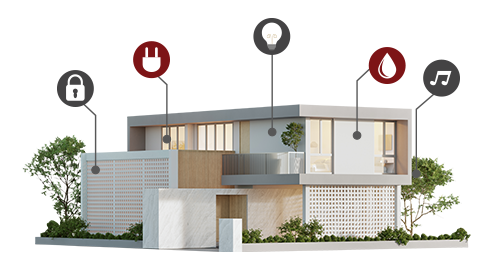 inohom will set the alarm for you, shuts all plug energies (except refrigerator), shuts illumination, turns water and gas input valves off, and activates automatic watering. Also these system randomly opens and closes curtain-blind and lighting during day and night as if you are at home to deter thieves. With inohom build-in intercom property, you can talk to people at your door with visuals and audio. Also, you can talk with the security or apartment official and transmit you needs with written messages. You can talk to your neighbours and send collective messages to site members to make announcements. You no longer need to worry about “did I left anything on?”. With inohom, you can cut the power of all plugs at home with just one touch. In case of hazardous situations such as flood or fire, energy on plugs will automatically be cut and safety is provided for you and your house. If you want, you can cut the energy of any plug with pre-defined scenario. This way, energy of washing machine or dish washer can be cut 2 hours after you leave the house or you can cut the energy of TV in children’s room between 18:00-21:30 while they are doing their homework. 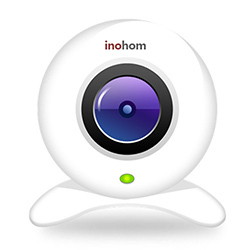 inohom monitors your house with sensors to maximise safety for you and your house, senses all undesired and abnormal conditions in your house, takes necessary precautions, and notifies you about these conditions even if you are not at home. 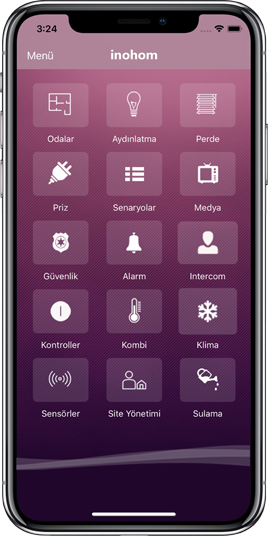 With sensor infrastructure, when dangers such a fire, gas leak, flood, thief, open door or window, window breaks automatically run the alarm on the system and all lights are turned on so that danger can be realised from outside. If necessary, gas and water valves are tuned off and emergency lighting is turned on to ensure safe evacuation from home. In regular smart home systems, air-conditioning control is provided with simple on-off functions. But inohom offers an advanced control. You can control temperature value, fan speed, and operation mode functions of your air-conditioner. This will enable more comfort and energy efficiency for you. 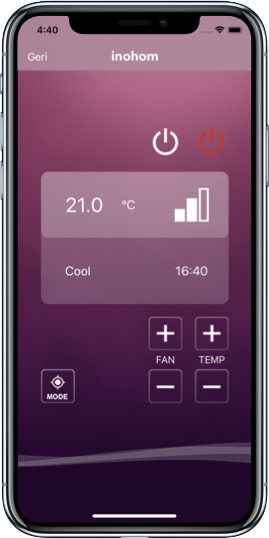 You can also control your air-conditioning system with different scenarios. For example, you activated “WORK” mode and leave the house. You can decrease temperature set values in this period to save energy. If you want a warm house when you get back from work, you can increase the temperature one hour before you arrive home and enjoy a warm home with energy savings. inohom enables you to control multimedia devices such as TV, satellite, Blu-Ray player, audio system without using remote control to increase you comfort levels. There is no need to use separate remote control for each electronic devices. With flexible smart remote control property, you can control all your devices with inohom. You can automatically control multimedia systems with different scenarios. When you come home, you can turn on your favourite TV channel, and start your dinner with your favourite music. 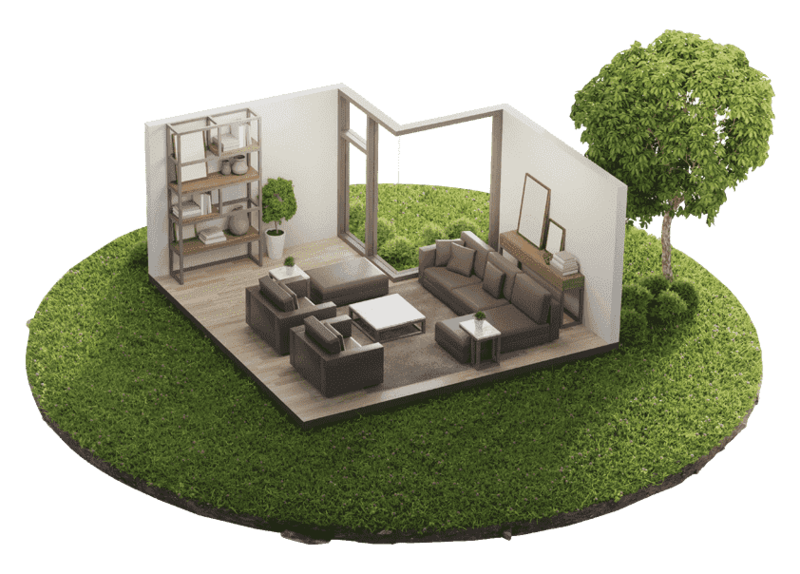 inohom voice control support gives a new dimension to smart home concepts. 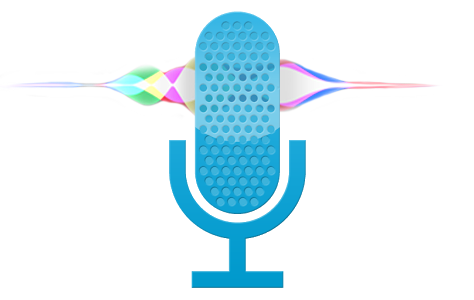 You can control various things such as illumination, curtain-blinds, plugs with audio commands. Just tell what you want, inohom will do them for you.